Official organ of the Enam Medical College, Savar, Dhaka, Bangladesh. A peer-reviewed journal published three times a year in January, May and September. Full text articles available. 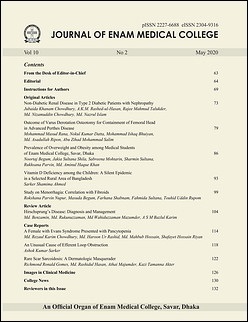 Journal of Enam Medical College is included in DOAJ. Antibiotic for Future: Disarm Bacteria, Don’t Kill! !